Purpose of rule book is to provide instructions to office bearers on strengthening mandram & regulate the duties done through. Members should comply with the rules. #RajiniMakkalMandram founded on Jan 1,2018 by Rajinikanth to focus on positive political changes in TN. Purpose of RMM to prepare the cadres for straight forward,transparent,pure social welfare services through politics without any religious,communal differences. #RajiniMakkalMandram primarily focuses on RELIGIOUS HARMONY. RMM never encourage social discrimination towards any religion,community,language, gender. Anyone above 18 years can join RMM. No fees for membership. For each district, mandram will have separate District group, union group, town group, panchayat group, branch groups will be formed. For each municipality, zonal and division groups, ward and branch groups will be formed. Based on administrative convenience RMM based district groups will be formed. 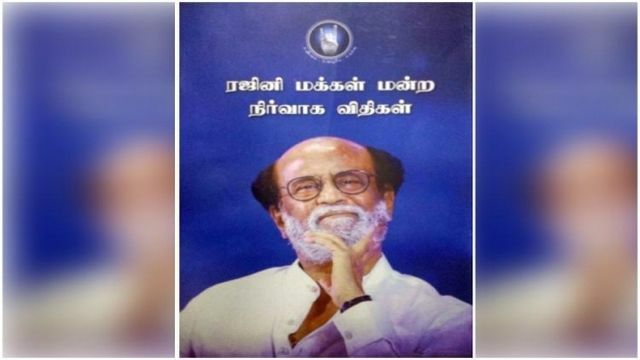 For administrative convenience and population,3 districts bordered Chennai #RMM divided into North, Central, South Chennai and Madurai #RajiniMakkalMandram divided into City, Suburban districts. Pondicherry state RMM divided into Pondicherry and Karaikal districts. Several associate teams have been formed under #RajiniMakkalMandram in order to unite people of all categories and to give them equal participation in mandram activities and for smoother mandram activities. Separate rules for these associates given to each of them. More associates will be formed in future by #RajiniMakkalMandram head based on requirements. Age not more than 35 for both genders. Transgenders will also be added to ladies wing (1st of its kind) and they will be given the positions if they met the requirements. Primarily focuses on every merchants needs and demands to the government. 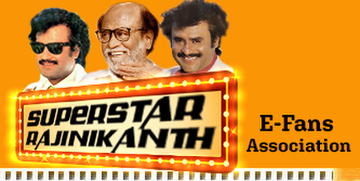 To organize every lawyers who're admirers of #Rajinikanth They'll provide law advices to RMM district & wings. District panchayat court lawyers only allowed. Law graduates who did only UG course and not a practitioner in any magistrates won't be allowed in #RajiniMakkalMandram's Lawyers Wing. #RMM also having a separate wing for Doctors and Engineers to unite all thalaivar admiring graduates. * Flag can be used in vehicles only during meetings, gathering & conference. Should be removed immediately after the event. *No member can ask for office bearer rights. *Anyone can hold the positions in RMM based on qualifications. *No criminal records against office bearers. *The office bearer should be a resident or working at the place where he was posted. *Posting will not be given based on permanent address. Staying for a longtime at a particular place is required. *Those who have given wrong address proof will be expelled. * 1 posting per family. For administrative convenience, temporary administrators can be appointed for #RMM Regular posting at any medium (district/panchayat/town) offered based on their work ability. Other wing secretaries can attend Executive meetings but they don't have voting rights. President or secretary can conduct the meeting. In the absence of guardian, secretary hold the meetings. In case of absence of both joint secy can conduct the meeting with #RMM head's consent. Executive meeting can be conducted at any time on emergency situations. Details should be shared in whatsapp group. Executive meeting attendance strictly followed. Absence should be informed earlier. *Every district medium (district/town/panchayat/municipality/ward) RMM and wings under their control.